Want to Avoid Litigation? Do What We Tell You! 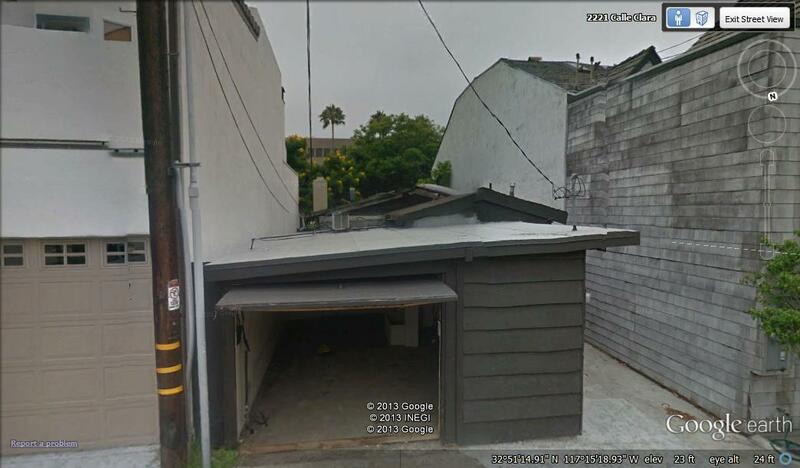 Why would an architect, who was also a member of the La Jolla Community Planning Association permit review committee, design his three story mixed-use building on a 25′ wide interior lot with a zero lot line requirement and then place 80% of his windows on the west elevation of his building and no windows on the east property line as seen below? He designed his building this way confident the LJCPA Trustees would require his westerly neighbor (my family) to design our future three story mixed-use building in such a way as to correct his ill-conceived designed building. 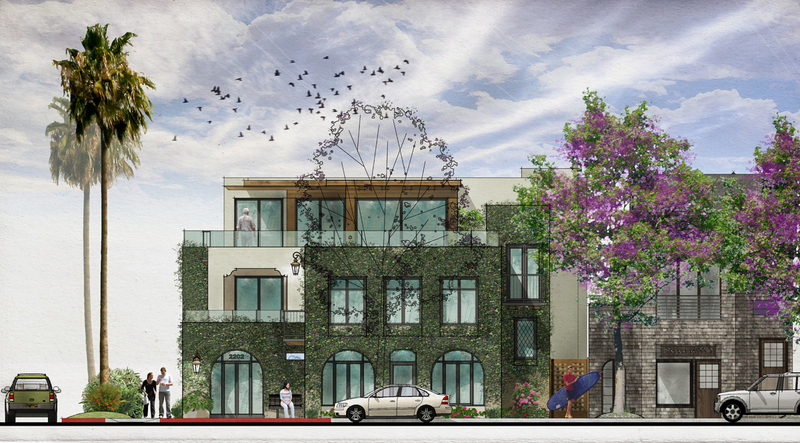 We just love the equitable and transparent community approval process in La Jolla. 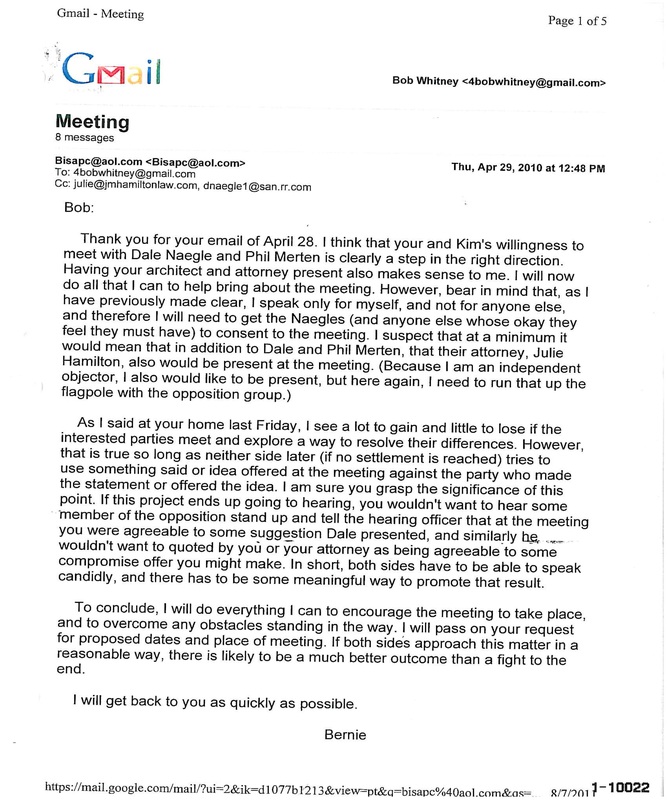 A process where LJCPA Trustees in collusion with their attorney of choice (see email below) can force any applicant to pay hundreds of thousand dollars in attorney fees, city staff time, prepare an complete Environmental Impact Report (EIR), endure almost 5 years of public review and redesigns of their building and then be casually told “If you want to avoid future litigation move your building over five feet on the second and third floor from the east property line“. This warning was recently relayed to me and members of my family from both attorney Julie Hamilton and Joe La Cava, the current LJCPA Vice President. The warning came despite the fact the San Diego Municipal Code, the La Jolla Shores PDO and the La Jolla Shores Design Manual as shown in the picture above, allows zero lot line development in the commercial center of La Jolla Shores. Dale and Phil Merten mention in the email below are or were at one time LJCPA Trustees.